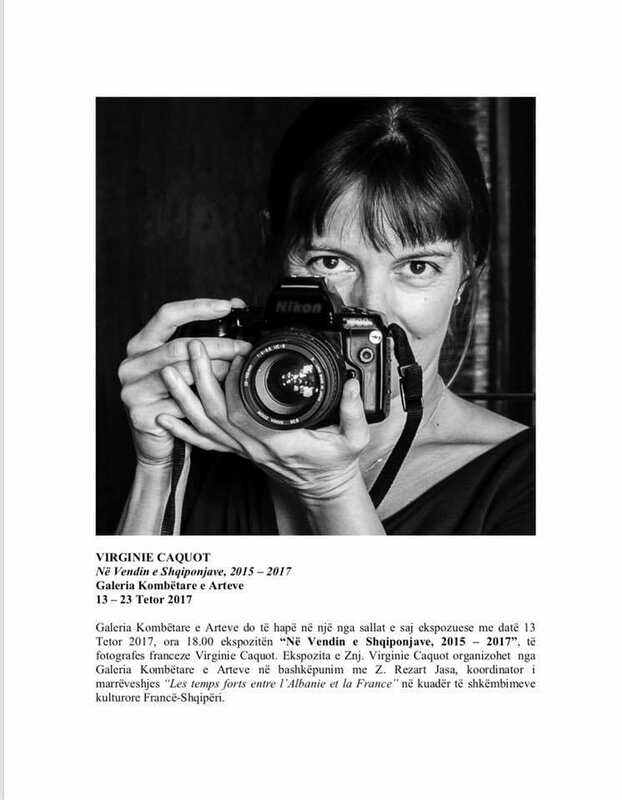 On 13 October 2017, at 18.00 , the National Gallery of Arts is pleased to open to the public in one of its temporary exhibitions spaces the exhibition "In the Land of Eagles, 2015 – 2017", of the French photographer Virginie Caquot. This project, developed and realized by the artist herself, shows through 30 black and white photographs of medium format, a visual journey all over Albania captured through the artist’s lens between September 2015 and July 2017. They capture moments of peoples’ daily life, atmospheres, and events. Friday, 13 October 2017, 11.00 am, there will be a press and media conference in the National Gallery with the artist. The exhibition will stay open until 23 October 2017.